John and I thought it would be fun to celebrate our monthly anniversary date, every month for the first year (then celebrate yearly thereafter). We I came up with the idea of celebrating in Epcot, seeing as it's where we met for the first time AND celebrated the day after our wedding. 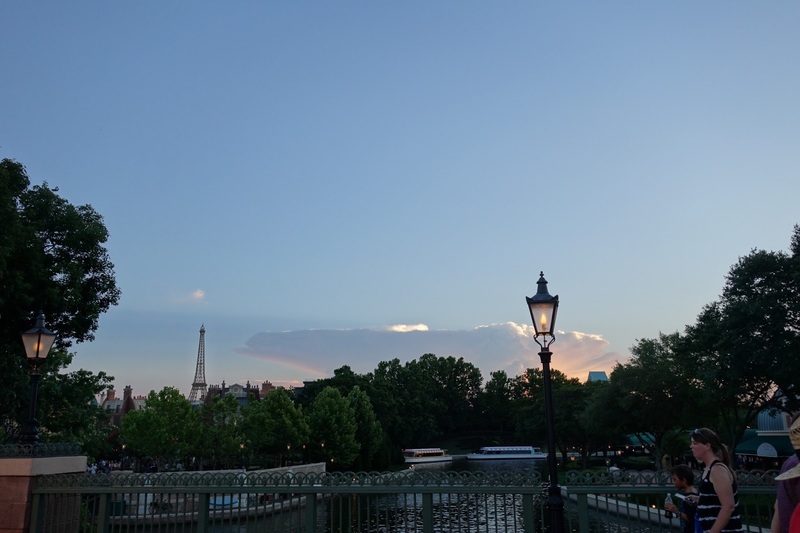 PLUS, it conveniently has 11 countries in World Showcase, and with there being 11 monthly anniversaries to celebrate until we hit the one year mark, it works out perfectly. John is just easygoing and willingly (eh?) went along with the plan. 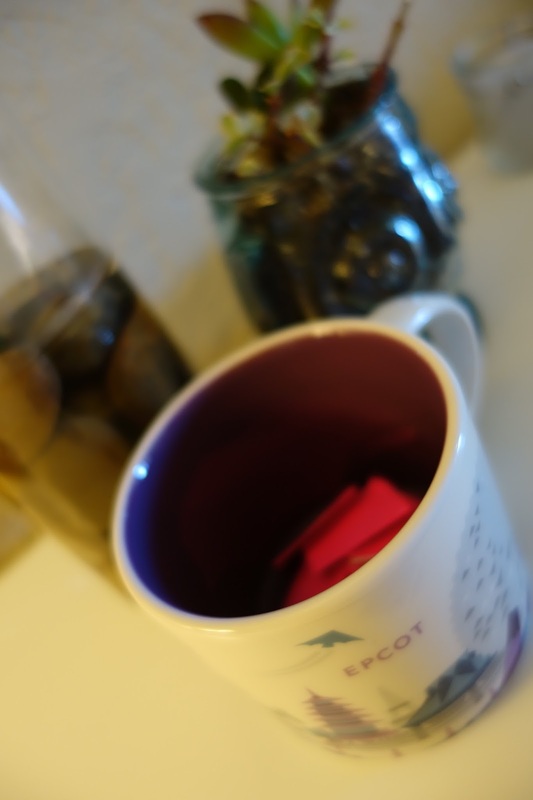 So, on the 16th of every month, we will celebrate our Epcotiversary. We wrote down all the names of the countries and put them into the version 2.0 Epcot You Are Here mug (the original, and highly sought after version, is safely tucked away in my china cabinet. John still wants me to see it on eBay. Never!). John had the honors of drawing the first country and pulled... Morocco! We decided in advance not to make any ADR's (with the exception of Le Cellier, which is kind of a necessity as it's the only place to eat in Canada. Unless we pull Canada during the Food and Wine Festival when the booths are set up. But I digress.). 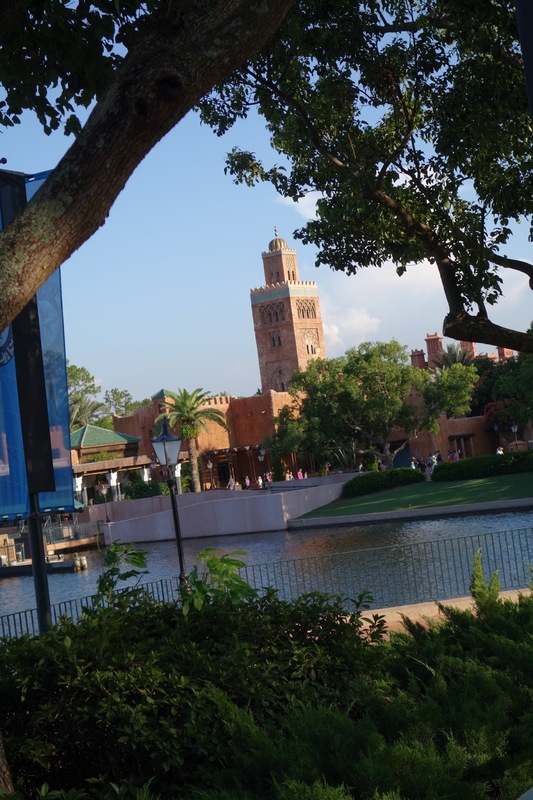 So, with Morocco in mind, we set off on our first monthly Epcotiversary. We valet parked at the Beach Club, knowing we'd use our Tables in Wonderland card at some point to be able to validate the parking fee. This alone makes TIW worth every penny for us. 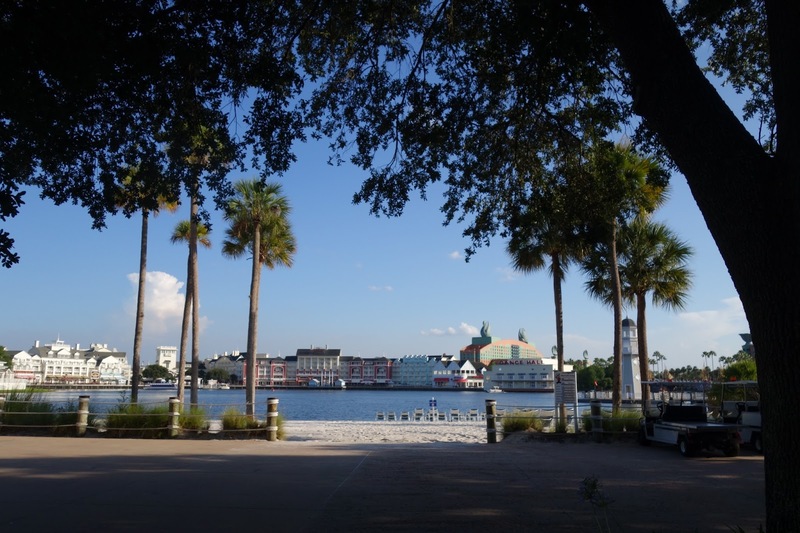 Beach Club is the closest Resort to the back entrance to Epcot, which makes it very convenient. We walked through the lobby and came out onto this view-- always lovely. 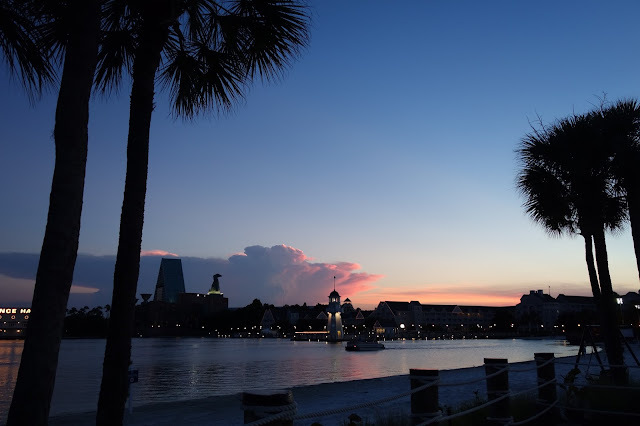 See that white cloud building over the Boardwalk? That will make an appearance later in the evening. Entering through the International Gateway, we hung a right and headed toward our destination. Morocco has three options for dining; two table service (Spice Road Table and Restaurant Marrakesh) and one counter service (Tangierine Cafe). 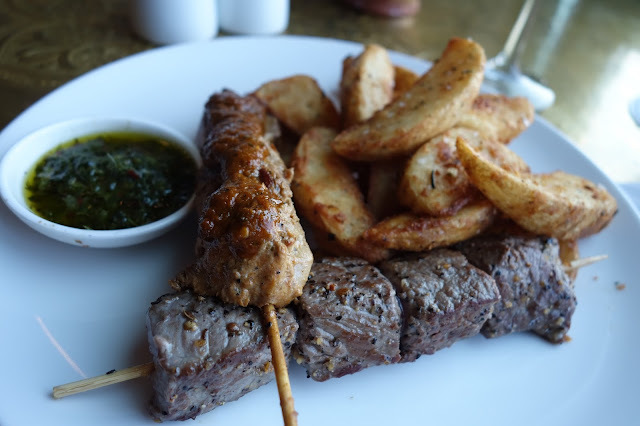 We LOVE and eat at Tangierine Cafe on the regular, so we decided to try something different. We had eaten at Spice Road Table right after it first opened a little over a year ago and weren't too thrilled. They've since added entrees to the menu (before it was entirely tapas style). After reading the menus for both table service places, John decided he liked the looks of Spice Road more. It was 7:00 and the place was pretty dead. Our hostess initially took us to an outside table, but the sun was still up and it was sweltering hot, so we asked to sit inside. We scored a nice waterside window seat. 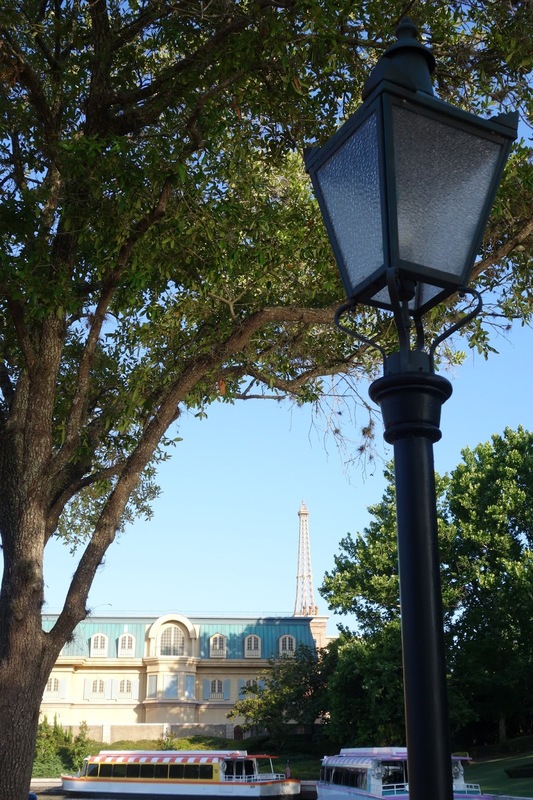 From the looks of it, this would be a good place to get a walk up reservation for Illuminations dining, most of the time. 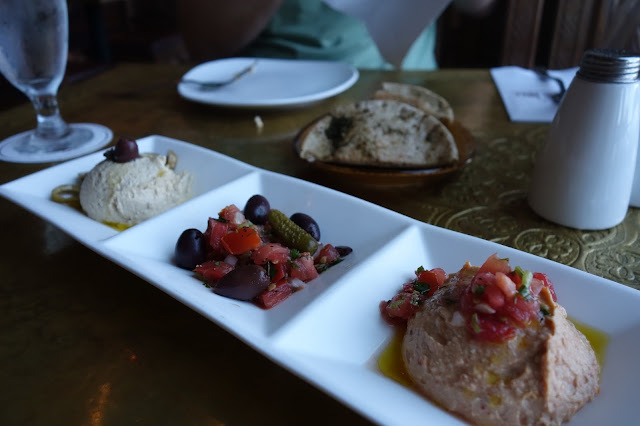 We started with the hummus appetizer, which was yummy. 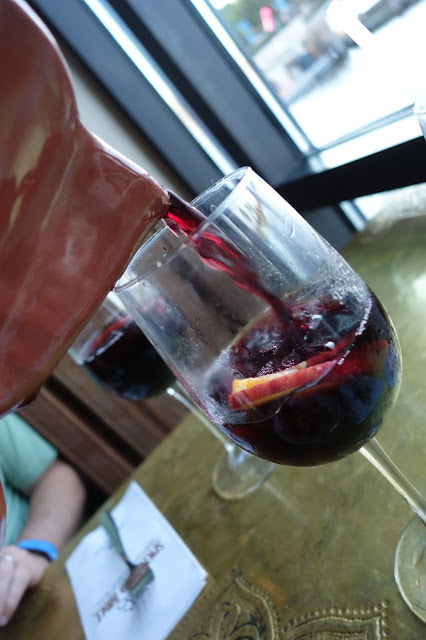 We also split a pitcher of sangria. John had the lamb sliders, and I went with the mixed grill skewers. It was all okay I guess, but I'm in no rush to go back. Looking at these photos, it was very brown and potato heavy. The menu listed roasted potatoes as the side for the skewers, so I was surprised to see fried potato wedges on my plate. Yummy, but not expected. 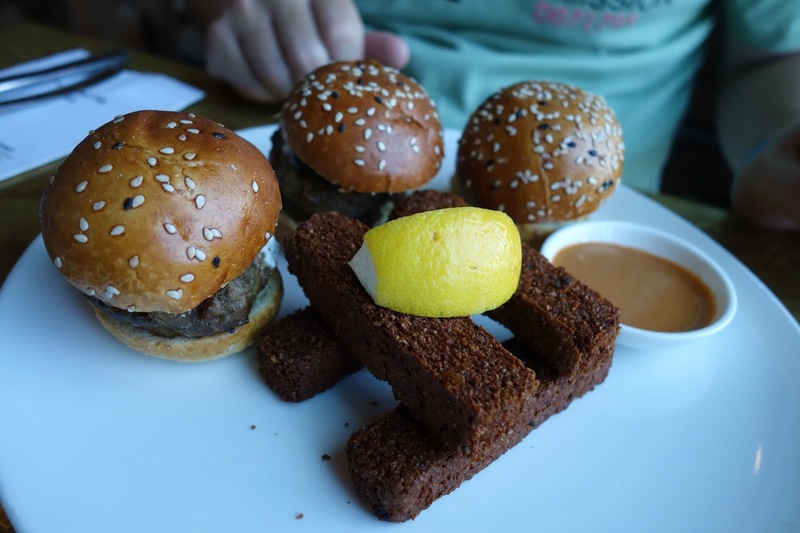 John's sliders were okay, but the hummus fries were heavy. John also felt sick to his stomach the next day after eating here, which is unusual for him. Check this place off the list! I still want to try Restaurant Marrakesh sometime though. We took the rest of our sangria to go and slowly meandered out of the World Showcase. There's that white cloud from earlier! Just wait to see what it has in store. As I said, it was a scorcher. 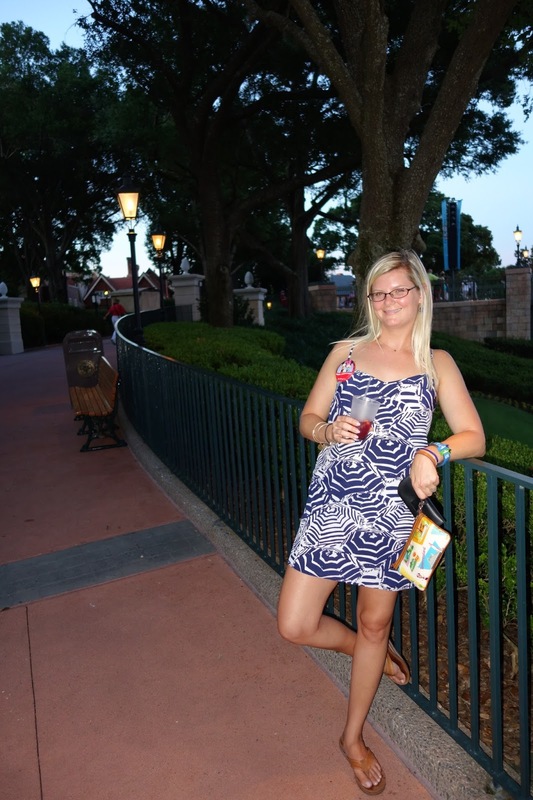 When it's this hot in the parks, my go-to outfit is a lightweight strappy sundress. 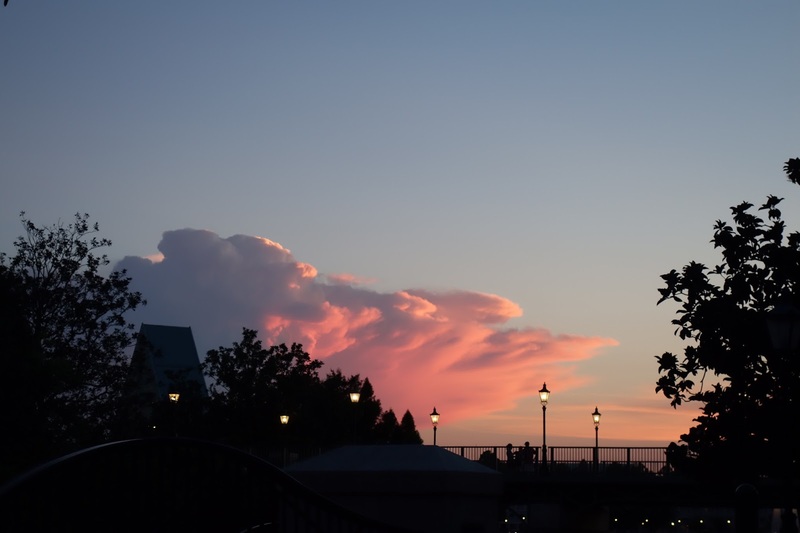 The sun had set and illuminated the thunderhead cloud to a glowing pink. The left side had lightening coursing throughout. It was amazing. 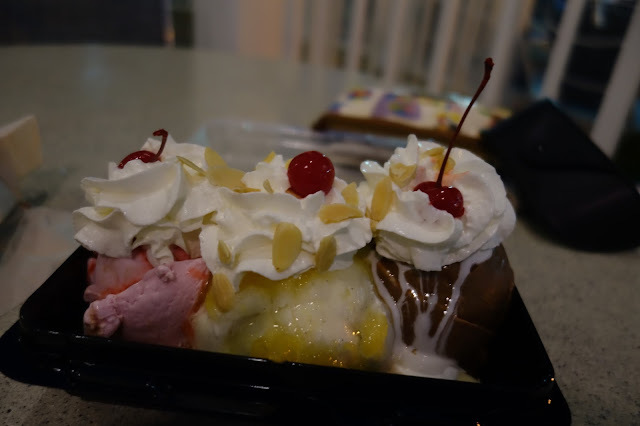 We ended our first Epcotiversary with a banana split at Beaches n' Cream. Pro tip: Beaches n' Cream has a sit down side and a walk up counter. The walk up counter only has a limited menu hanging above it. Luckily there was a menu nearby with a lot more offerings. We found the banana split on there and ordered it with no problems. If you don't see something you want on the standard 'to-go' menu, ask for the full menu for more options. Thanks for reading. 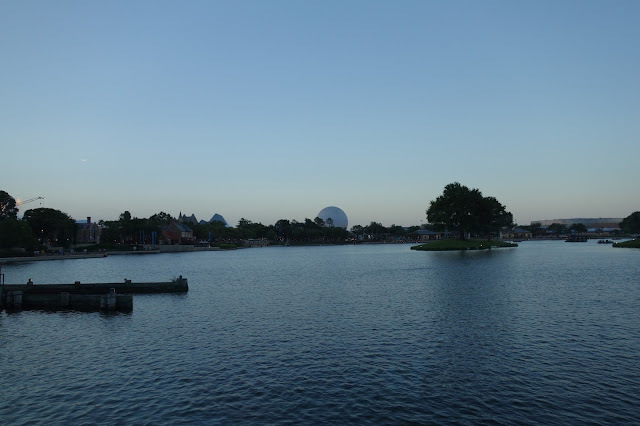 You can follow our monthly Epcotiversary adventures here and on Instagram with the hashtag #SuitsEpcotiversary. What a fantastic idea! 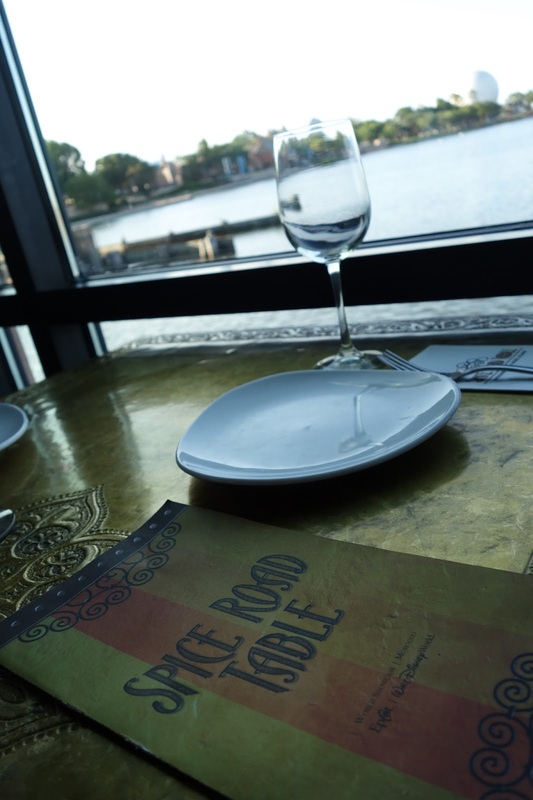 I'm sorry to hear Spice Road wasn't great- hope you have been luck with Restaurant Marrakesh. Congratulations again! Sorry, typo- hope you have better luck! This is a great way to celebrate your newlywed status over the next year; I love it! It's been fun for sure! Thanks for reading.